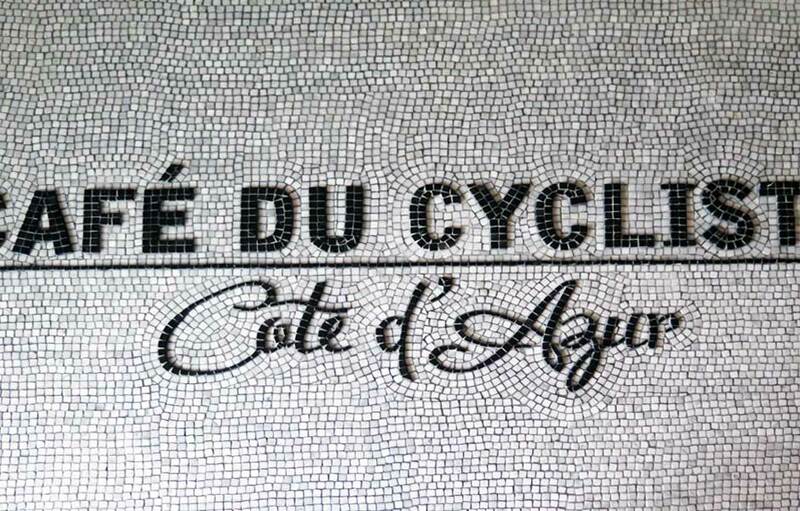 Creation of a logo in mosaic in a classical style illustrating the ‘Café du Cycliste’ company logo. 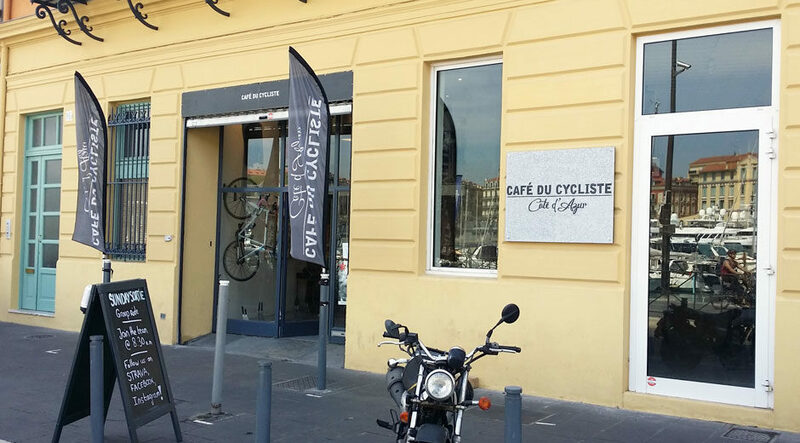 Unique custom-made mosaic artwork delivered in situ in Nice (France). 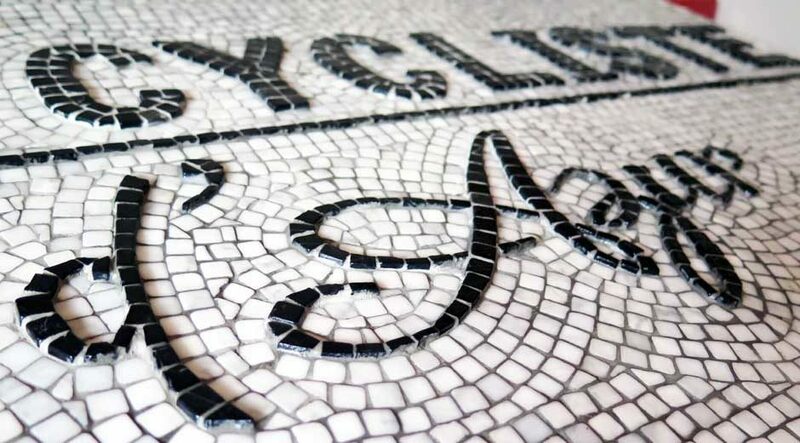 An original and unique logo in mosaic highlighting, with a mix of uneven natural stone, the logo lettering which is surrounded with white marble of Carrara. 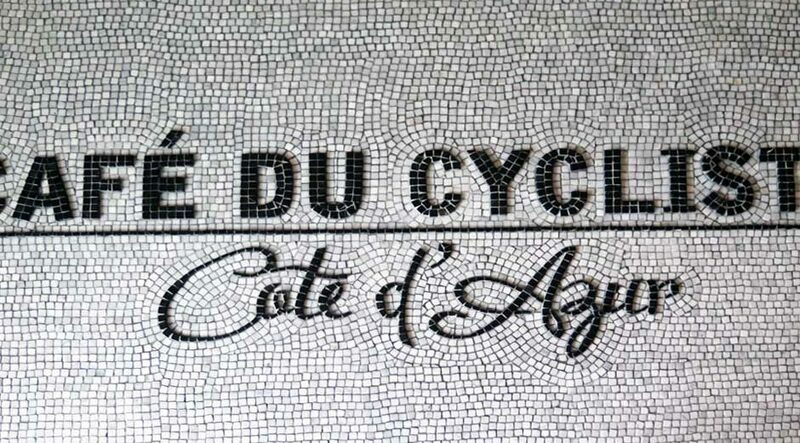 Creation of the logo in mosaic on extruded polystyrene foam panels in a steel frame. Mix of black marble and white Carrara marble, cut by hand with a hammer and a cutter. Mosaic dimension: approximately 1 m2. 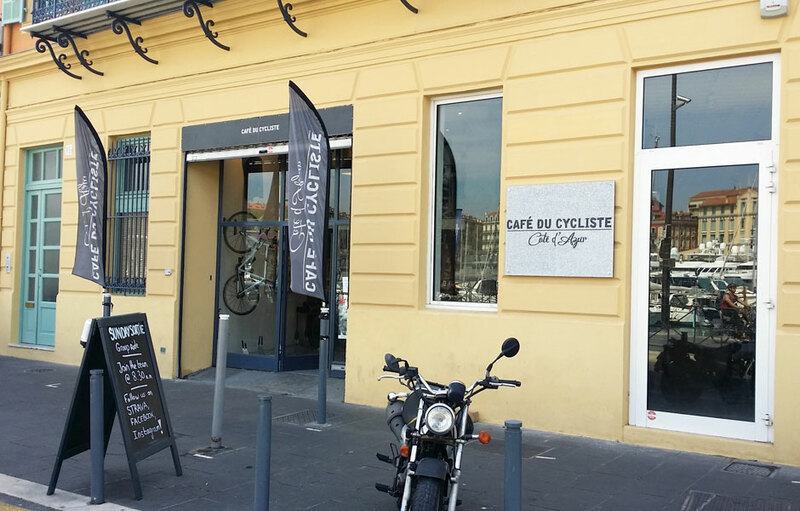 Differentiate your business’s sign among the competition with an original and elegant logo! Attract customers with your creativity! 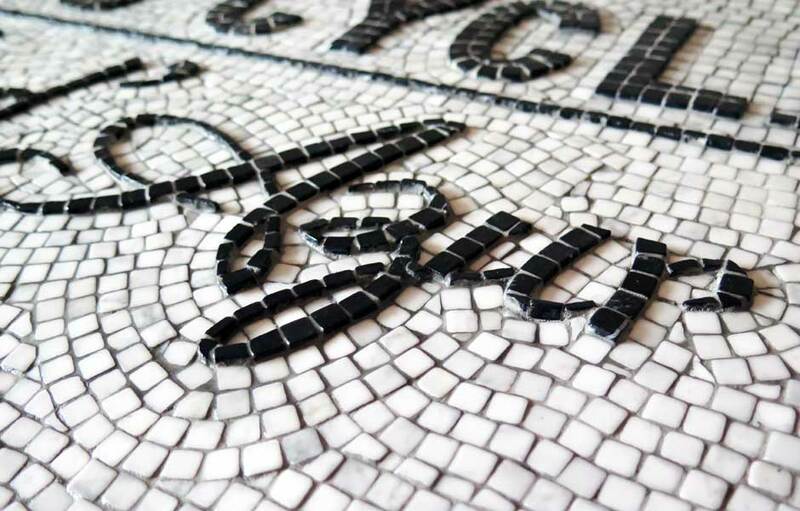 A logo in mosaic is a lasting and custom-made logo to represent a company. Stylized lettering and original graphics illustrate a company’s sign and mark its personality. 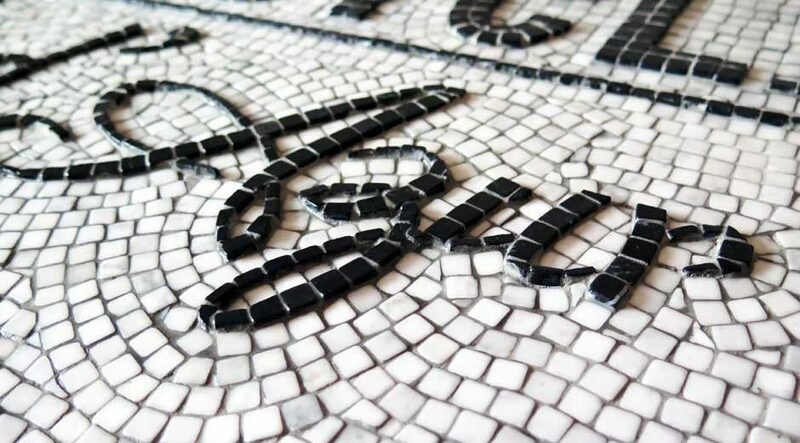 The mosaic logo can be created from an *.jpg file which will be enlarged to the desired size and it can match the architectural style of a building or the trendy atmosphere of a business street! Stand out with a highly creative and attractive logo! 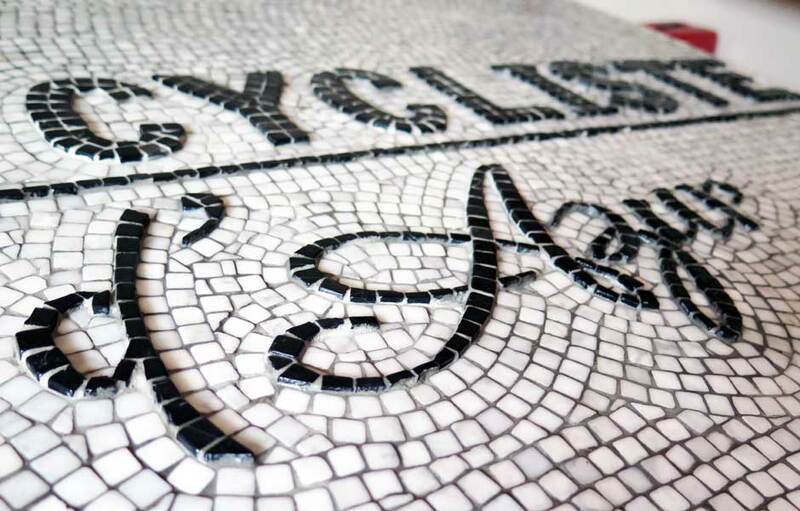 Not only the lettering may be sophisticated but a more creative mosaic artwork can be imagined around it. You may save money with a mosaic artwork creation! There are favourable tax measures for the acquisition of an artistic creation by businesses! Check out with your Revenue Department as some countries allow Tax deductions for the acquisition of artworks from a contemporary artist.